Moths belong to the order of Lepidoptera and are closely related to the butterfly in genetic makeup, but is very different in behavior. Moths are nocturnal and can range from a delicate pollinator to an aggressive blood feeder, however this various greatly due to the fact that there around 160,000 species of Moth. This insect serves as a major food source for many different types of animals such as birds, various reptiles, insects, and a few plants. Moths are widely known to feed off your favorite wool sweater, however vampire moths of the genus Calyptra feeds off of the blood from animals and humans. These moths are primarily found in southeast Asia, eastern Africa, China, Japan, and India, however extensive research is being performed in the United States. The most common kind of moth that finds their way into your home is known as the Brown House Moth (Hofmannophila pseudospretella). As an adult it is around 8-14mm long and feeds off of animal textures such as wool, leather and feathers. 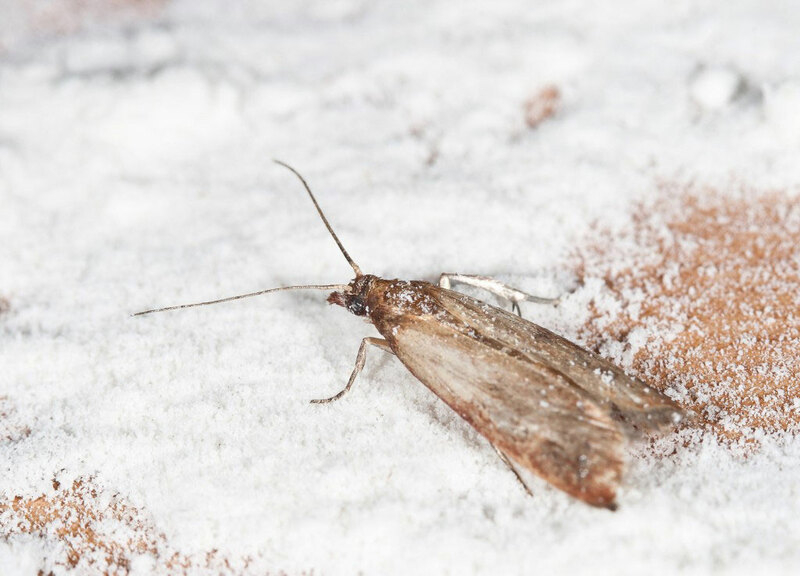 Slightly smaller, yet just as hungry for your sweater is the Common Clothes Moth (Tineola Bisselliella) are around 8-14 mm long and are responsible for putting holes in all kinds of fabric. These moths reach adulthood in about 6 weeks and produce around 1 generation per year. Moths are known to congregate around artificial lights and the reason is still unknown. However, if moths are gathering around our home in excess the amount of outdoor lights could be you main attractive quality. Once they get inside your home they’ve been known to wreak havoc on wool clothing, silk scarves, and even garments consisting of fur. These insects work quickly and it’s common for the moth’s host not to immediately notice the infestation. Even though these creatures do not bite or sting, the holes within our fabric aren’t necessarily desired. The first thing you should do is determine what kind of moths you have in your home, which can easily be determined by a professional. Next you have to get rid of infested materials and seal seasonal clothing in airtight bags. It would also be a good idea to seal away kitchen pantry ingredients in airtight containers. To prevent future outbreaks, keep up with regular house cleaning and have a professional subscribe a proper plan for clearing the moths out of your home.